The Jenss Décor side of the Reeds/Jenss partnership was established in 1965 as a retail source for giftware, tableware, collectibles, and home décor items. Jenss features many of the world’s most prestigious tabletop brands such as Waterford, Wedgwood, Lenox, and Herend. Choose registry items that fit your style and needs from the brands you love. Need wedding registry inspiration? Jenss’ Registry Specialists can help! The giftware and décor assortments has expanded, and the original store has now grown to encompass 10,000 square feet. This expansion included a wide range of famous brands for all occasions: gifts for the home, retirement, professional and corporate gifts, children’s gifts, engagement and shower gifts, as well as traditional birthday and anniversary gifts. – Receive 20% off any remaining items (10% off sterling flatware) on your registry for six months after the wedding date! 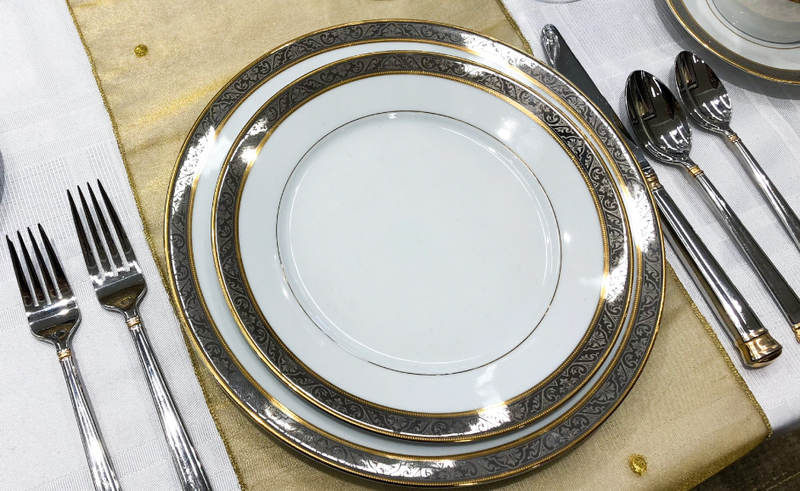 – Receive a free plate setting of china, stemware or flatware with every seven place settings purchased from your registry before the wedding. – Refer-A-Friend Bonus! Refer a friend who registers with us and we’ll send you a $50 giftware gift card! – A free pair of champagne toasting flutes for registering!